The use of an appropriate uterine manipulator is key to various laparoscopic gynecologic procedures. 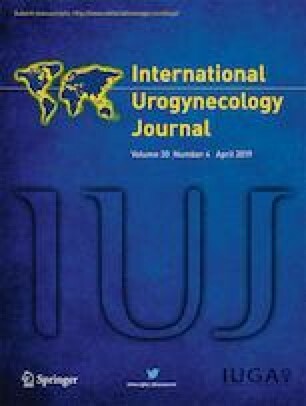 Adequate uterine manipulation is important for total or supracervical laparoscopic hysterectomies, laparoscopic sacrocolpopexy as well as laparoscopic repair of vaginal vault prolapse. While several uterine manipulators are available to choose from, their use may be specific to certain procedures and their cost may vary as well. This video aims to provide an introduction to a multipurpose, reusable uterine/vaginal manipulator that can be used for laparoscopic supracervical hysterectomy, laparoscopic sacrocolpopexy, laparoscopic hysteropexy as well as laparoscopic repair of vaginal vault prolapse. The video highlights the user-friendly, easy-to-clean, reusable, multipurpose uterine/vaginal manipulator. The manipulator is designed for an efficient combination of laparoscopic urogynecologic procedures and supracervical hysterectomy. The first author is, together with Karl Storz, the developer of the instrument. Royalties go to the employer/hospital. Therefore, there is no financial conflict of interest of the first or other two authors.